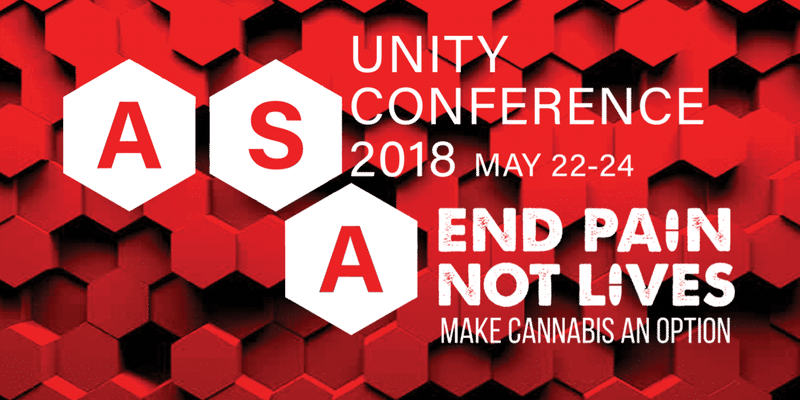 This year’s Americans for Safe Access Unity Conferencefocuses on the life-saving role that medical cannabis can play in the fight against the Opioid Epidemic. It is critical that our nation’s lawmakers understand and respond to medical cannabis’ potential role in mediating this crisis through our END PAIN NOT LIVES campaign. •Professional Development: enhance your professional skills and performance. When patients have a seat at the public policy table, everyone benefits. In order to get and keep our seat, we must be equipped to competently and confidently represent our viewpoint. The goal of this conference is to provide patients and concerned citizens the information, tools, and contacts they need to be successful representatives for medical cannabis and against the opioid epidemic. We achieve this by hosting substantive policy discussions, teaching the latest methods and strategies in advocacy. If your ASA chapter or fundraising team sends five or more individuals to ASA’s Unity Conference, ASA will offer a discount rate for the group if you contact conference@safeaccessnow.org. ASA is not responsible for Eventbrite.com transactions. Dabbing is not allowed at this conference.